I remember him and miss him every day. As do so many of his loyal listeners. You may have felt my dad was part of your family. I can assure you, the feeling was mutual. Between now and the day you and I may visit regularly and personally, there are a few mementos I’d like to share with you. One is a fictional story I never expected to publish, but only weeks ago I changed my mind as its subject relates to this year’s return of billions of cicadas, otherwise known as seventeen-year locusts, to the eastern United States. 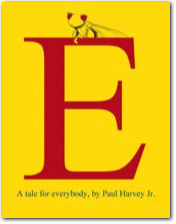 This fascinating story for the whole family is called, simply, E and is offered here in the form of an old-fashioned, hardbound children’s book. Artist Bryan C. Butler has added some delightful pen-and-ink to embellish it. I’ve performed and recorded some music lately as well. You may recall that, before I established and began writing The Rest of the Story® series, I was a professional pianist. 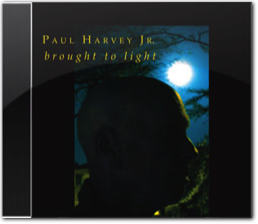 The music on the album Brought to Light, on two CDs, is interspersed with my personal reflections, which include many family stories. I don’t think anything quite like this has ever been done before. 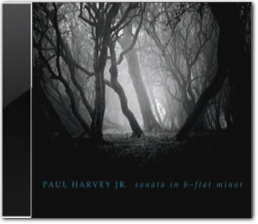 And on the subject of things I’d never planned to release commercially is a piano recording of my Sonata in B-Flat Minor. A family memoir is upcoming too. It’s called A Child is Reborn and I’m hoping to have it ready for you soon. 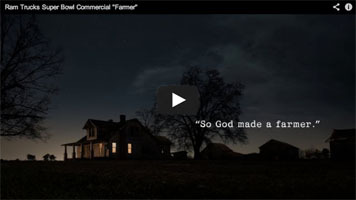 In the meantime, it appears Dad has been eager to return to the microphone, as evidenced by his contribution to a wonderful television ad which premiered during this year’s Super Bowl. If you’ve not yet seen and heard Farmer, click on the link to The Ram brand below. I’m so proud of him! Enjoy the music and the memories. And – stand by for more news! Click on any of the items below to be forwarded to the store!